Home › Promotions › Free Install on Custom Dynamic's LED Turn signal inserts! Free Install on Custom Dynamic's LED Turn signal inserts! 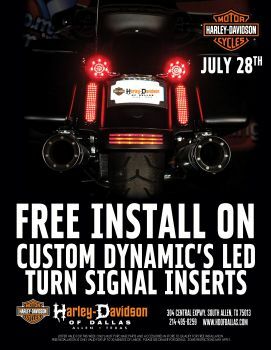 July 22nd thru 28th receive free install with the purchase of a Custom Dynamic's LED turn signal insert.